After many hours of negotiations we finally succeeded to reach a satisfactory result for both parts. In February 2001 the school was sold by Rite Municipality to Niels Bendix Knudsen for the amount of DKK 57.000. Two other Danes: Henrik Mollerup and Lis Nielsen are co-financing. The Property consists of school buildings and 2.7 ha of land. The purpose of the school will still be to use it as a Folkhighschool. Mayor of Rite Municipality, Biruta Valaine, transfers the deed of Rite Folkhighschool to Niels Bendix. The General Assembly was celebrated on the 26 of May 2001 at Rite Folkhighschool. In total 40 people participated of which 13 were Danish. 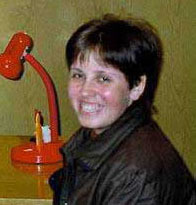 Sandra Mezharaupe has organized a 3 weeks course in English and environmental issues, beginning on the 18th of June. 25 pupils at the age of 8 to 11 participated in the course together with a few pensioners. The purpose of the course was to elaborate a leaflet in Latvian and English, which could inform future tourists about the areas of natural beauty in the municipality of Rite. The course has been partly funded by the Danish Outdoor Council, Friluftsrådet, in cooperation with the Danish Environmental Protection Agency. From the 18th of July to the 3rd of August there was a course in building an eco-toilet. Niels Bendix Knudsen was the organizer of the course. He taught how waste water can be discharged in a root zone system and how to establish summershowers by use of solar collectors. This course was also funded by the Danish Outdoor Council. From the 13th of August to 24th of August a course in IT was held. John Petersen and Sandra Salmina were the coordinators. We now have 15 good computers at our disposal. From the 13th to the 24th of August another course in English and Environmental issues was held. Young Latvians at the age of 11-13 continued the elaboration of the tourist leaflet. The course was funded by the Danish Outdoor Council. Organizers were: Inese and Lis Nielsen. The Association ACC Latvia visited the school at the 25th of August. Coordinated by Linda Jacobsone. On the 26th to the 29th of July, Rite Folkhighschool was invited to participate in a big camp at Sauka Agricultural School. 100 young former Scandinavian Folk High School students from the Baltics met and through workshops created a written group project of a Folkhighschools in the Baltics. At the school we have held a two weeks course in Danish for 11 young Latvians. This was held in order to prepare them for a farming trainee period in Denmark, there were 9 men and two women who participated. Teachers at the course were Lasse Lassen, Anna Nielsen, Nete Thomsen and as organiser Lis Nielsen. During the course Lasse played his guitar and the students sang Danish songs for the joy of everyone. We hope to be able to repeat the success in April 2002. 12 new computers have been installed by Raimonds Kirilovs, sponsored by the Danish Ministry of Finance. The students have all been very clever and shown great progress, also the computerlab was used by the students. At the sports field gardener Henrik Mollerup has been in charges of the clearing of some of the big spruces. Niels Bendix has, assisted by students, made preparations for the summer shower supported by Outdoor Council under the Ministry of Environment. Additionally, it is a great pleasure to announce that Linda Jakobsone has received positive response on the Apple project. Child drawings were sent out to different sponsors in Latvia and the collected money will be spent on the next summer course for children. Esben Kalhøj, Ira, Austra Lace, Brigitta Lace and Karlis are working on a tourist brochure about the local area. On December 17, 2001 a group of members from the Latvian – Danish Association packed a big container at Anne Fraxinus farm in Stenløse. Anne has a farm, were there can be deposited things that are collected throughout the year. Many people helped collecting and this time we have got furniture, wheelchairs, and inventory for schools. It was a rainy day and we had to drive the things from Anne’s barn in small cars to the big container, because the container was too large to stand close to the barn. But during the weekend we filled the container completely and it was sent to Akniste city in Latvia. 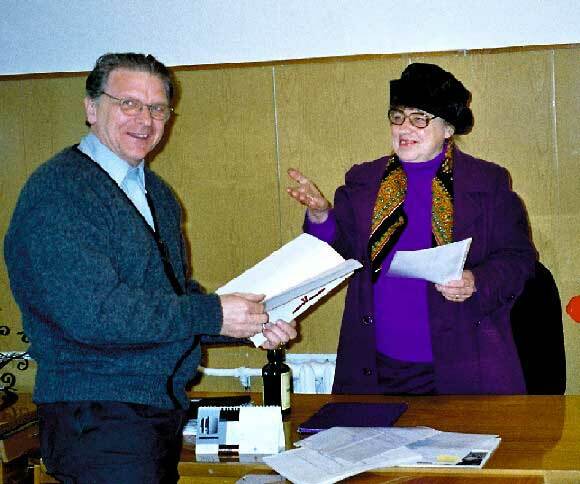 On December 27, 2001 Niels Bendix received the container in Latvia, together with the leader of Akniste Socialcenter Irena Butkus and Ilona Kuzma. Akniste municipality is placed in Jekabpils county 170 km from Riga and close to Rite Folkhighschool. During that day the container was emptied and everything went well, in spite of air temperature of 20 degrees minus and one meter of snow all over. When the time was 24 o'clock in the night, some of the things had to loaded from the container to a lorry to be driven to Rite Folkhighschool. Near the school the lorry drove out in the snow and could not get free. In the dark people went to get help from the neighbours and they organised a big caterpillar tractor, but its engine had to be thawed before it could move. So people had to come with 6 pails of boiling water to put at the caterpillar tractor’s radiator. Some hours later they managed to get the lorry free so it could drive to the school, where it could be unloaded at 5 o’clock in the morning. Some days afterwards Niels Bendix and Lis Nielsen was invited to the mayor in Akniste. He was very thankful and wanted to know how many people in Denmark had helped and how long time it had taken to collect all those things. A great thank was sent to all helpers, and to the Danish – Latvian Association, which had applied for the money for the transport from the Danish sponsor, Tipsmidlerne. On December 30 Velta Auzenberga had organized a Christmas party at Rite Folkhighschool together with all local women. It was a very cosy arrangement, where we got a visit from Santa Clause and from Mr. Frost and the Ice Princess. They came with gifts to all, but to get a gift we had to sing a song, dance or say a verse. The classroom was decorated nicely and a beautiful Christmas tree was in one corner. But we did not go around it singing, like in Denmark.